Norm enjoyed a career-best nine-game winning streak on TV which ended almost one year to the day after it started, taking four titles from March 19, 2006-March 18, 2007… Tossed the 16th televised 300 game in Tour history January 5, 2003 in the 2003 Earl Anthony Classic in Tacoma, Wash.; defeated Walter Ray Williams Jr., 300-213 in the semifinals… Total career earnings of $2,962,414 ranks third all-time. Career Standard Titles (24): 1983 – Cleveland, Ohio; 1991 – Parma Heights, Ohio; Tucson, Ariz.; 1993 – Taylor, Mich.; 1994 – Lakewood, Calif.; Edmond, Okla.; N. Brunswick, N.J.; Rochester, N.Y.; 1995 – Portland, Ore.; Cleveland, Ohio; 1997 – Mississauga, Canada; Windsor Locks, Conn.; 1998 – Tucson, Ariz.; Rochester, N.Y.; Wichita, Kan.; 2000 – Dallas, Texas; Tucson, Ariz.; 2002-03 – Syosset, N.Y.; 2003-04 – Blue Springs, Mo. ; 2004-05 – Norcross, Ga.; 2005-06 – Taylor, Mich.; 2006-07 – Hammond, Ind. ; West Babylon, N.Y.; Indianapolis, Ind. ; 2007-08 - BPAA US Open, New Brunswick, NJ. - 2008-09 - Reno, NV. ; Fountain Valley, CA. - 2010-11 BPAA US Open, New Brunswick NJ. 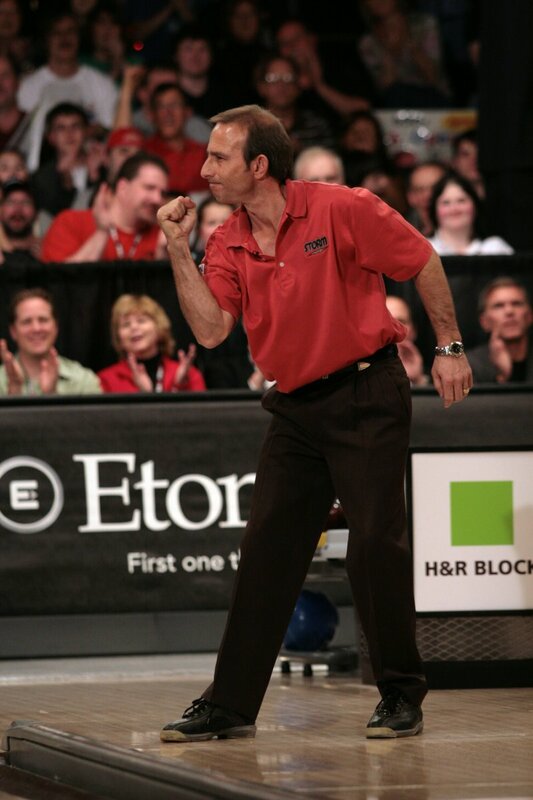 Awards and Recognition: PBA Player of the Year (1994, 2000)… George Young High Average Award (1991, '94, 2005-06, 2006-07)… Harry Smith Point Leader Award (2005-06)… USBC Hall of Fame (2002).